Functional and effective design requires years of experiences and countless refining processes. We have accumulated over years of experiences in our R&D team, together with the help of computer-aid analysis and our precision in-house manufacturing capability, these qualities eventually become the very soul of our products. From preforms to product production, from design to blow molding, we offer one-stop services and comprehensive before-sales inquiry services. We also conduct extensive discussions with our R&D teams to allow our engineering teams to comply with production requirements of the clients, plan whole plant production lines, such as the most economical PET and PP preform injection molding machines, injection molds, labeling (sleeve labeling), filling and peripheral equipment, to suit the investment plans of large, medium and small enterprises. Mineral water, carbonated beverages, seasonings, tea, fruit juice, distilled water, alcoholic beverages, cooking oil, cleaning agents, cosmetics, fizzy drinks, cosmetic cleanser, detergents, tennis ball cans, medicine bottles, heat-resisting bottles etc. For many years, the dual brand of the blow molding machine sculpted by CHUMPOWER has won the recognition and support of the international market, offering comprehensive product lines that can satisfy the demands of the clients and the market, and integrated project planning that can address the different needs of the clients. Professional packaging, customized planning, and dedicated customer services are your best solutions. 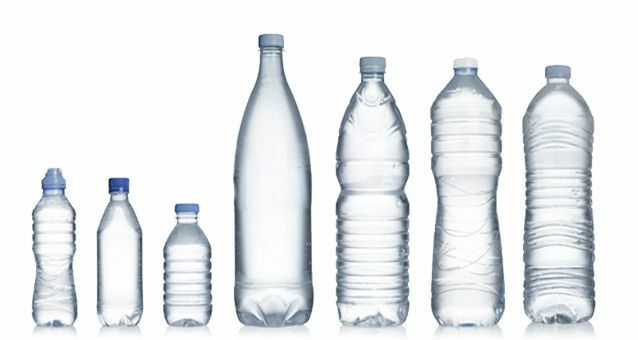 You will benefit from our flexibility and product range, and get the plastic bottle specified for your needs. Designed using 3D computer graphics, the blow molds by our company can be used in conjunction with many machine brands, both local and foreign, and customized according to customer specifications, to manufacture a variety of molds, such as wide-mouth bottles, shampoo bottles, medicine bottles, soy sauce bottles, frozen bottles, mineral water bottles, thermal flasks, carbonated drink bottles, and other molds. Can comply with client requests to develop, design, and produce molds together. Using the latest concepts of engineering innovation, CHUMPOWER has introduced the latest five-axis processing equipment, metal processing technology, and professional mold production knowledge to design, manufacture, and test professional PET preform molds. CHUMPOWER enables clients to use the most economic investments, least time, and minimum maintenance costs to achieve high productivity and high quality PET preforms. Preform molds are designed using 3D computer graphics to increase blow molding success rate. Preform molds are manufactured using steel alloys and stainless steel to ensure good durability and stability. Short production cycle for greater production efficiency. All preform molds adopt the hot runner system, not only increasing the speed of preform mold production and shortening the forming time, but also enabling enterprises to reduce material wastage, cut redundant expenses and increase competitiveness. Preform mold designs are based on actual experiences and precise calculations to ensure uniform thickness and high dimension stability of the completed mold product, allowing enterprises to reduce deficiency rate greatly. Mold structure design: Mold inspection and repair operations can be conducted on the machine, so it is simple and fast. The component parts required in production are calculated through high precision measuring instruments and processed by high precision machinery. Stringent quality controls are implemented to ensure quality assurance. Can comply with client requests to develop, design, and produce molds together. We will continue to strengthen the production equipment of the company and adopt the latest advanced machinery that will not only guarantee product quality but also take into consideration the yield of the entire product, therefore the delivery of client orders can be completed on time. Quality inspection is conducted on every component to ensure all the components satisfy the precision and reliability of injection molding machine. Conducted under safe protection, we have an entire series of high precision inspection instruments to reduce the deviations in component inspection to ensure machinery operation is safe. After assembly, our onsite QC engineer members will conduct careful calibrations on machinery and inspections to ensure normal operations and functions.